The team has developped for them the Alpine A450 LMP2 with a very high graphic quality, including custom steering wheel and cockpit details for a perfect immersion and realism. We have in addition developped the Formula Renault 1.6 racing car, used in the Autosport Academy school championship. 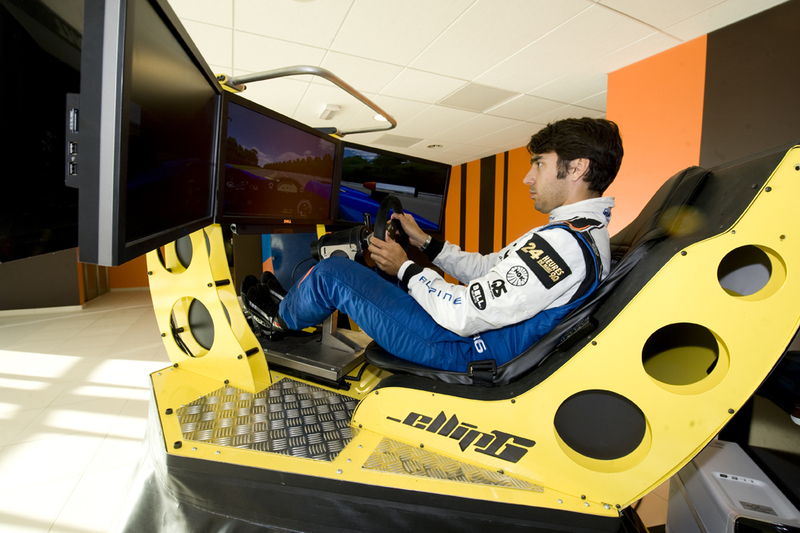 The car is a small formula used by young guns for a first experience in their racing careers. The collaboration is still in process with other cars in development. Power: 140 bhp at 6750 rpm. Torque: 157 Nm at 4500 rpm. Gearbox: Dog-clutch box with 5 gears, sequential shifting. Brakes: 6 piston calipers – 257 x 12 mm disks. Suspension: Push Rod – mono damper at front. Push Rod – twin damper at rear.